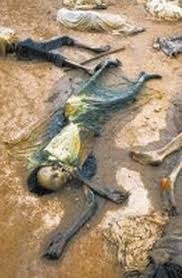 lakemedia.blogs.com: UN IS GOING TO KILL HUTU REFUGEES INSTEAD TO PROTECT THEM. UN IS GOING TO KILL HUTU REFUGEES INSTEAD TO PROTECT THEM. UN has decided to use force in order to repatriate Hutus refugees in Congo. UN should not continue to make the same mistake it did make before by letting Kagame to kill hundreds thousands of Hutu refugees in Congo . UN mapping report shows those massacres committed by Kagame soldiers in Congo could be classified as Genocide and crimes against humanity if the mapping report is presented to international criminal court. Now it seemed UN has forgotten that report and it has authorized Kagame to kill Hutus refugees who have survived Kagame massacres in Congo. They are more than 250000 Hutus refuges in Congo but UN is not thinking what is going to happen to those refugees once UN force attack them . 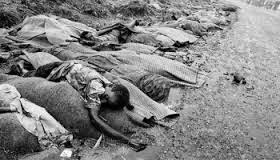 Rwanda Hutus were abandoned by international community when Kagame was killing them , Hutus refugees decided to protected themselves because international community failed to protect them that is how Democratic Force for the Liberation of Rwanda was created (FDLR). FDLR has been protected Hutus refugees in Congo since it was created in 2000 and have prevented Kagame plan to exterminate Hutu Refugees in Congo and UN now wants to destroy FDLR so Kagame can achieve his plan to kill all Hutus refugees living in Congo. I would like to call on Southern African Development Community (SADC) not to attack Hutus Refugees in Congo because it will not resolve Rwanda problem . SADC needs to push Kagame to negotiate with those who do not share views with his government. Rwanda problem is not FDLR , Kagame oppressing regime is the biggest treat Rwanda is facing today . As we know today Rwanda is ruled by a dictator Paul Kagame who kills and imprisons those who try to speak out against his regime. Kagame has been claiming that FDLR is organization was built by extremist Hutus and it is big fat lie in order Kagame to continue to oppress Rwandan people who have right to universal right such as democracy and free speech . They are may people who asked Kagame to open political space and allow free speech in Rwanda and most of them was his followers tutsi who were with Kagame in rebellion such Kayumba , Karegeya, and Rudasingwa but instead to listen them Kagame killed many of them and other survived by escaping to other countries. 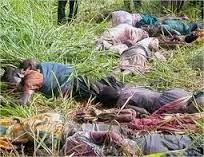 I would like to remind international community that killing Hutu refugees in Congo is not the way to resolve Rwanda issue because killing Hutus refugees in Congo does not kill the idea to fight for freedom , Hutu refugees who will survive the UN force attack will continue to fight their freedom . Forcing Hutus refugees to go back home in hands of Kagame who has been trying to exterminate them without making sure that Hutu refugees go back with some guaranties that they will not be killed or their rights will be respected, it is big mistake UN is doing and a bad message is sending to the oppressing regime of Paul Kagame that it is fine to kill its opponents.